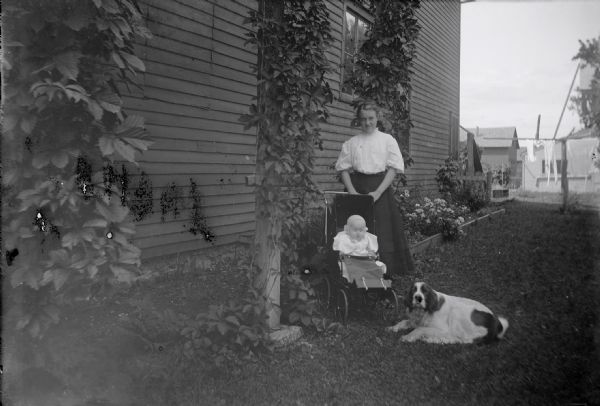 Edna King stands behind an infant in a stroller in a garden next to a wooden building. A dog is lying next to the stroller. Vines grow on lattice structures next to the building, and flowers are along the side of the house in the background.